Crystals have fascinated people since ages. Crystals are a part of the Earth. That's why they have healing properties. They not only have a unique beauty, but also amazing healing power. They are not mere crystals, but healing crystals. Yet, many people are still unaware of these sacred healing stones. People usually use crystals for their beauty - to decorate their homes or offices. They may even wear bracelets or neckpieces of crystal, not knowing that the little piece of jewelry has the power to heal. Crystals are in plenty on Earth. Not all crystals work for everyone. That's the reason you must educate yourselves on them and find the right stone for you. Believe me, it can transform your life like never before! Questions on crystals have ruffled the minds of many. Discussed here are answers of questions that you did not know whom to ask. 1. In case of crystals, does size matter? Bigger crystals carry more energy than smaller ones. But that does not mean only big stones heal. Small ones are also healing in nature. Do you know there are crystals as tall as 6 feet? Just spend some time near them and you will be amazed by the sheer energy they emit! It feels as if you are near some Divine structure! 2. What does it mean when somebody is attracted to a crystal? It means the crystal is for you. I have seen crystals appearing out of the blue in the lives of people when they are in need of them. It's like their circumstances attract that healing crystal. All crystals are beautiful, but you may find that you are attracted to a particular one. It seems as if the crystal is saying, "Take me. I am for you!" When you go crystal shopping, hold each one of them in your hand and close your eyes. See how you feel with each stone. You can even place multiple healing crystals on your hand. In a minute, you will begin to feel the difference in each stone. In a few minutes, you will know what stone is for you. Such are these sacred stones! 3. 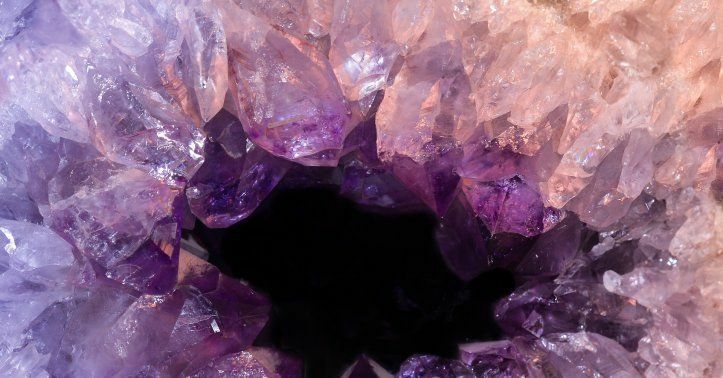 Healing crystals are beautiful, but what exactly should we do with them? Once you bring them home, soak them in salt water for a while to remove negative energy that they may have picked at the store. Then, put them out in sunlight for a few hours to recharge them. Now, hold the crystal in your hand. Imagine a white light passing through it. Set your intention. Say, you have a citrine crystal in your hand. This is the stone of success. Now, you must say, "At this moment, with the crystal in my hand, I wish to be a successful CEO and see my business expand with hundreds of employees." Once you say this, your intention is set in the stone. Work upon your wish and wait until your intention gets materialized! The last step is important. You cannot just sit thinking that now you have set your intention on stone and it will happen anyhow. It does not work like this. You must put in efforts towards your intention after setting it in the stone. A lot of people own crystals, but, unfortunately, they do not know how to use crystals for healing. It's like owning a powerhouse of energy and not knowing how to use it! 4. What if somebody does not believe in healing crystals? Will it still work for them? Not in the way when you believe in them. Crystals are live things. They possess vibrations. They get connected to your aura, your energy body. This means they know what you feel. So, you cannot fool them! If you don't believe in them, they know it. Well, it's okay not to believe in healing crystals. If you don't believe in healing through crystals, find some other healing technique. When you do not believe in crystals you choose to be closed to them. So, you are not open to the energy they exude. You need to believe in them and be open to them to receive their tremendous healing powers. People who are simply curious about these stones can receive some energy because they are willing to know them. For the non-believers, I would suggest keeping crystals at home or your workstation. They are beautiful pieces and increase the aesthetics of a place. Who knows? One of your family member or colleague may get attracted to them and start their healing journey! 5. Does a crystal stone come with an expiry date? But, you need to recharge healing crystals every few weeks. For that, you must keep them under the sun for several hours. This charges their natural energies. You can also keep them under the full moon. When you keep a crystal at home all day it may get disconnected from its natural energy source, which is Mother Earth. 6. What are the best crystals for somebody who has never used a crystal before? Each crystal is different and should connect with your energy being to work well. The love stone - Rose Quartz: Women love this crystal! It is known to increase a person's self-esteem, which makes them love themselves. This helps the person attract love in their lives. The stone of focus - Clear Quartz: This is one of the most effective healing crystals for increasing your focus, clarity of thoughts, positivity, and balance. The stone of luck - Aventurine: It is found that when somebody holds this crystal in their hand opportunities suddenly come into their lives. So, this is a great stone to get success in career. The crystal enhances your mental power and brings good fortune, wealth, and peace. The stone of abundance - Amethyst: This crystal is known to help people get rid of their bad habits and addictions. It increases spirituality and intuitive powers. If your behaviour is disruptive, then this is one of the best healing crystals for you. The stone of success - Citrine: This crystal helps to remove negative energies. It enhances personal power. This is a great crystal for ambitious people and those in demanding job profiles. 7. Is it true that crystals are exotic healing stones and too expensive? Raw stones: These are rough stones with hardly a shine. But they are powerhouses of energy. They are uncut and raw crystals, so they are less costly. Tumblestones: These crystals are easily available, so you need not spend a fortune on them. These stones are polished, smaller in size, and charming. Cut stones: These are akin to gemstones - sparkling, mesmerizing, and expensive! It takes a lot of effort and time to cut, polish, and design them. You can find them in jewelry pieces. How much you want to spend on healing crystals depends on you. If you are seeking only healing, then you can choose a raw stone. If you want to wear a crystal as a jewelry piece and for healing purpose, then cut stones are a good choice. They look stunning. Do you know you can also undergo crystal healing training in Delhi? This gives you profound knowledge on healing crystals. Depending on the course you choose, you can also become a certified crystal healer. If you are simply interested in knowing crystals better, you can attend a workshop. Crystal healing classes in Delhi are located various places and are affordable. Enroll for one of the classes to enter a whole new world of healing crystals. And you thought these sparkling crystals were only for decoration!